At Atlantic, our key value proposition to our customers is truly our people. The level of expertise and breadth of knowledge across a wide spectrum of packaging, converting, printing, equipment and technical service is what we offer to the supply chain. We have a culture of collaboration that brings sophisticated, integrated programs to our customers. Our experts are the key. Bill’s area of expertise is in managing major national programs for companies in the beef, pork and poultry processing industries. He has been with Atlantic for over 35 years and has been instrumental in the growth and development of our flexible packaging program. Bill’s success in working with customers in the food industry has hinged on his ability to respond to their needs quickly and accurately. Through his years of experience with this industry, he understands and values the time sensitive nature of the food production and packaging process. This understanding partnered with the resources at his disposal through Atlantic’s vast sourcing and distribution network means that his customers can count on him for accuracy and value. Jeff grew up with paper converting as the family business. He worked during high school at his father’s first converting facility in Louisiana and then went back to work with him during his time at Northeast Louisiana University. Jeff and his dad started Billhorn Converters together at that point and, in 1991, Jeff became the sole owner of that business. While Billhorn Converters started out as primarily a brokering business, it ultimately grew into a full converting operation with 4 locations (in WA, SC and two in LA) and on-site equipment for general paper converting production. Jeff spent 20 years at Billhorn Converters before he met Rusty Carter and joined forces with Atlantic in July 2012. Jeff and five members of his staff moved to Atlantic in Charleston to set up an industrial converting facility with proximity to the port and some of the major east coast paper suppliers. Jeff’s machine operators, who had worked with him at Billhorn Converters for up to 16 years, were essential in getting the Atlantic operation up and running and they are the guys still running the machines today. Jeff has carved out a specialty business in wide web printing ideal for consumer labels and industrial wrappers. He also runs narrow width slitting with capabilities of slitting paper and board grades down to 3/8” for a variety of industrial end uses. With Jeff and his crew on board at Atlantic, we have a wealth of knowledge and expertise in converting that provides an unparalleled resource for our customers. 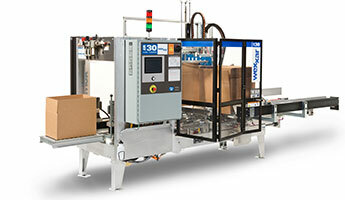 It is no exaggeration to say that Chip has lifelong experience working with packaging equipment. Growing up in Long Island and then North Carolina, Chip worked for his father’s shrink equipment company and started building shrink wrappers in his teens. He mastered mechanical and electrical engineering throughout his 18 years with the company and developed several shrink packaging designs with his father that were patented over the years. The technical expertise he gained with packaging equipment and the relationship he formed with Pat Caccavella during that time led to a career move over to Atlantic in 2007. Chip started here in Equipment Sales and soon after joined the Senior Management group, taking on a role in running Atlantic’s Equipment and Technical Division. Chip brought a new level of structure and organization to our growing technical service and integration programs. He has continued growing this sector of Atlantic’s service offering and also works as a project manager and hands-on with programming, integration, design, testing, troubleshooting, and customizing equipment solutions for our customers. Trec Tisdale started his career in packaging in 1991 and has an impressive history of working with all types of packaging machinery, including stretch wrapping equipment, shrink wrap machines, strapping equipment, and case sealers as well any critical end of packaging solutions. He works closely with our programmers and technicians to provide Atlantic customers with the best possible integration and automation solutions for every type of packaging line. Trec has a comprehensive understanding of packaging environments and the best fitting equipment to meet the needs of our customers. Trec covers Atlantic equipment sales for the eastern region and has packaging experience within a variety of industries including food, medical, automotive and building products. He is an incredible asset to our customers, providing the expertise needed to achieve greater efficiency and performance from packaging equipment. Kyle graduated in 2010 from Michigan State University's renowned School of Packaging. He also strengthened his skills in engineering during his time at MSU and was well positioned for a career in technical sales and consulting in the packaging industry. After graduation, Kyle gained a great deal of insight during an internship with Coca-Cola working in the Packaging Innovations department and focusing on secondary packaging, including stretch wrapping. During his time with Coca-Cola, Kyle met Tedd Mendelsohn and Doug Turley, both heavily involved in the stretch wrap program for Atlantic. After his internship completed, he came to Atlantic and trained with Tedd on the MUST (Materials Usage Standards Tracking) Monitoring System for automatic stretch wrappers. Because the MUST Monitoring System is used by Coca-Cola, Kyle continued his focus in the beverage industry, specifically on the technical side of stretch wrapping in terms of auditing, implementing, and troubleshooting issues based on data collected from MUST. As the MUST program expanded, Kyle gained further knowledge of wrap application and automatic wrapping equipment in multiple segments of manufacturing. Today, Kyle is primarily involved in educating and consulting with our customers on the importance of proper stretch wrap application that will cut costs significantly when it comes to damage reduction, dunnage reduction, and process efficiency. As the industry moves towards reducing secondary packaging, proper stretch wrap application has become increasingly more important. Kyle is instrumental in showing our customers the effects of optimal stretch wrap application in their manufacturing and making data-based recommendations that will improve their own end-user experience. Graham grew up in eastern North Carolina, the son of a cotton and peanut farmer. He worked summers on the family farm and understands inherently the dedication and work it takes to be successful in this industry. He also grew to appreciate the importance of the farming industry to the North Carolina community. Graham’s early career was in commercial real estate with a specialization in farm land and timber tracts. With this experience, he transitioned to finance in a position with an agricultural lender. Graham has successfully established many relationships within the agribusiness community. Through these pursuits Graham has gained a broad perspective and appreciation for the importance agriculture has on our overall economy. He came to understand the particular concerns that these business owners face, particularly the effects that input costs can have on a farmer’s cash flow. In 2014, Graham brought his valuable insight to Atlantic, helping to put together packaging and supply programs for farmers that would bring stability and remove some of the layers of risk that these customers face. By offering integrated packaging system lines, competitive pricing, excellent service, and routine deliveries, Atlantic’s agriculture and produce program brings incredible value to our farming community. Early in her career, Terie Syme translated her passion for graphic arts into label printing and prepress, developing fluency in all aspects of the operation. Today, she uses her vast experience that includes operating printing presses, graphics management, expanding digital printing opportunities, and establishing automated prepress and MIS to assist our customers in getting the best possible labels to meet their demands. Terie is a founding member of Digital Solutions Cooperative (dscoop.org), a leading industry community for HPIndigo digital press users. She has also served on high-level committees, including the TLMI’s (Tag and Label Manufacturers Institute) Environmental Committee and was on the board that developed their L.I.F.E. program (Label Initiative for the Environment). Atlantic is extremely privileged to have Terie among our ranks and working as a consultant to our Printing and Graphics customers. Ken came to Atlantic in April 2014 to continue a career in packaging that already spans two decades. While he started in the business as a packaging equipment technician, he moved into stretch film in 1996 working for a film manufacturer. He put his technical skills to work in this field, spending 8 years troubleshooting issues that customers were experiencing with their film and equipment. He then moved into a sales role, using the unique insights he gained both on the technical side and on the film manufacturing side to provide innovative solutions for his customers. Ken is especially skilled at understanding what extrusion process and additives will provide the best performance for each film application. He has put this knowledge to use in working with paper mills, an industry where timing and throughput are critical for a successful operation. Ken’s ability to troubleshoot equipment and provide the best performing films for all types of paper products from the mills makes him an invaluable resource to these customers. Today at Atlantic, Ken is instrumental in providing our paper making customers a comprehensive roll wrap program that includes film, repulpable splicing tape, and custom corrugated headers. The time and frequency he has spent in mills over the years has made him skilled as an all around problem solver for everything on the dry end of the paper making process. Ken is truly a valued consultant for our paper mill customers. After graduating college, Mike became involved in his father-in-law’s family business that dealt with building high-speed, custom automated machines for the food industry. At first, Mike was a project manager for the company’s larger projects and then he quickly moved into roles that required trial-by-fire education in CAD design, engineering, programming, and electrical work. Mike stayed in the family business for 12 years, all the time acquiring new skills in automated product handling and packaging in an industry that was getting faster and more sophisticated every year. He branched out with a new company after that, working on the front end in sales for 2 years where became more proficient in working directly with customers and vendors. After moving back into the family business and then onto another company with a focus on automatic cartoning equipment, he came to work with Chip Bennett here at Atlantic in 2000 in order to develop our Systems Integration group. Today, Mike works directly with our customers to design automated packaging line concepts and layouts and also works hands-on as a programmer and engineer to build and integrate those lines. Mike is also developing a program that will bring together our cartoning equipment and knowledge base in Tabor City with our integration service for a comprehensive offering in automated cartoning. Bruce specializes in programming and working on automatic high-speed stretch wrapping equipment for Atlantic and our customers. He has a background as a systems integrator and controls engineer, writing PLC programming code and creating different logic to make machinery work together. In that line of work, his expertise was integrating multiple pieces of machinery together and creating an operator interface that would control the full system. Bruce is now a vital part of our Atlantic team with the ability to see beyond a specific equipment problem to find ways that processes and systems can be improved for optimal performance of the packaging line. Bruce is also our lead technician for Atlantic’s MUST program where he helps establish benchmark settings on stretch wrappers, monitors activity, and ensures that the film and the machinery are working together in a way that is most ideal for the application. While we attempt to acquire footage of 1980’s Ray, with his Alabama-style long hair, starting his career in mechanical and electrical maintenance, you can rest assured that his proficiency as a technician and consultant started strong and has only grown over time. After discovering an affinity for mechanics at a young age, Ray started working for UPS in 1985 after 4 years in the army and 2 years going to UNCG for electrical engineering. He was a maintenance mechanic for UPS and then a project manager and supervisor responsible for maintaining a 6-½ mile conveyor system running through the facility. He left the company in 1997 and found that the packaging field was in need of service technicians. Ray made his way to Atlantic in 2000 and, though he has the ability to work on any piece of packaging machinery, he has become our resident shrink packaging specialist alongside Randy Franklin. Ray covers installation, operator training, troubleshooting, consulting, and preventative maintenance for our shrink packaging customers. While studying engineering at Purdue University, Norm was a draftsman at a foundry and then a semi trailer manufacturer in Northern Indiana. He soon decided to pursue his passion for racecars by joining a race team and working from the ground up, eventually becoming shop manager and crew chief. His teams built cars for Porsche, BMW, and Mazda factory teams. Norm was able to apply his experience and aptitudes for engineering to designing and fabrication - folding and bending metal parts - including suspensions, chassis, and drive train components. The theories and practices in designing racecars would crossover to the work Norm would eventually pursue in packaging starting in 1992. The goals to make a racecar as light as possible and to make it simple, reliable and easy to work on translate directly to the custom packaging lab where they attempt to use as little material as possible in order to control costs and create designs to be simple and easy to pack so as to save time. Norm spent many years working for North Carolina Box where he created ESD (ElectroStaticDissipative) packaging and other custom packaging for sensitive, fragile materials for IBM and Nortel, among others. He then designed retail displays for clothing, lighting, and other consumer products at Scotland Container. Norm set up shop in Youngsville, NC when he worked for Asheboro Paper and Packaging, which was acquired by Atlantic in 2011. Norm’s work with Atlantic Packaging serves as an invaluable resource to our customers, particularly in the automotive and industrial manufacturing industries, and also to our sales team as they work to find creative, custom solutions for our customers. The most important thing that Norm learned when he worked in racing is TEAMWORK, a value that applies soundly to our mission at Atlantic. Throughout his career, he has learned the importance of understanding what a customer’s goals are and the work and resources needed to attain those goals. Mechanical repairs and on-the-spot problem solving were ingrained with Danny early in life as he helped his father work on outboard motors, tractors, car engines and anything that needed fixing. These hobbies ultimately became his training ground for a long and full career in the packaging industry with folder-gluers, high-speed die cutting machines and custom packaging design work. From his first introduction to folder-gluers over 30 years ago, Danny moved quickly from working the end of the line to operating the machine. His mechanical background was put to work in troubleshooting, fixing, installing, and training other operators on this equipment, placing him in high demand for major packaging and print shop operations. Danny moved through the industry, working with increasingly elaborate and cutting edge equipment and serving as a mentor to others getting their operations up and running. Danny started working with Atlantic in 2007 and was instrumental in scaling our print shop into the 65,000 sq. ft. Tabor City facility that houses it today. In addition to training operators and maintaining our equipment, Danny also helps our customers identify the best folding carton packaging for their products, which includes custom design work for the most unique and challenging packaging needs. Geoff got started in the paper industry in 1976 working at a small, independent company called Virginia Paper Co. It was here where he first started a relationship with Atlantic, who had their print shop and distribution business in Tabor City and was a customer of Virginia Paper Co. at the time. Geoff went to work for Atlantic in 1981 as the general manager of Crown Packaging in Wilmington, Atlantic’s early packaging operation. He ran a small converting operation on 9th St. with a focus on chipboard inserts, setup boxes, and textile inserts for shirts among other products. With his background in paper, Geoff started concentrating on building up a commercial converting operation for Atlantic. In 1985, they moved to 23rd St. in Wilmington, where Atlantic headquarters are still located today, and added more equipment. As this operation grew, and after the purchase of Henley Paper Co. in 1999, Atlantic relocated the commercial converting facility to Charlotte in 2000. They moved their existing equipment, including 5 sheeters and a rewinder, bought 2 new sheeters, and eventually expanded the operation by adding digital sheeting, carton packing, and a laminating machine. In October 2014, Atlantic purchased 3 commercial converting facilities from International Paper in Greensboro, Hazleton, PA, and Sturgis, MI, which significantly expands our capabilities and our footprint for commercial converting. Under Geoff’s leadership, we look forward to continued growth and success with this program. A veteran of 5 years in the U.S. Marine Corps, Erik relocated to Charlotte from Kings Mountain, NC and worked with an electrical parts company picking orders and making deliveries. A friendship he formed with one of his customers led to a position with a custom control system company learning electrical control work. It was here he discovered his affinity for hands-on electrical work. Erik moved on after that company was sold to another business that worked in custom automation where he continued his focus on electrical engineering. During this time, he met and worked with Chip Bennett (who is currently the director of Atlantic’s equipment program). When Chip started working for Atlantic, he recruited Erik to come work here, too. Today, Erik is an integral part of our integration and automation team, specializing specifically in electrical work on packaging equipment and integrated packaging lines. He was instrumental in designing and building the MUST system and is extremely valuable when it comes to innovating custom tools and equipment to meet the unique needs of our customers. Erik’s background and experience together with his mind for problem solving and love of hands-on work makes him a vital asset to this team here at Atlantic. Ken has learned many things over the course of his career. One of the most important has been how to properly apply film for loads that will result in the lowest cost and the best performance. But, overall, Ken maintains that his focus on the customer - and not just the machine - is the key to his success. Whenever he leaves a job site, Ken makes sure that he has completely taken care of his customer and the packaging operation, helping to solve problems that extend even beyond the machine itself. This type of customer service defines Ken’s dedication and the level of care our customers can expect from Atlantic. While Pat started his packaging career with a paper company in PA, he built a relationship with one of his accounts based around shrink packaging and found that he had a greater interest in this segment of the industry. He then started on a path that has made him one of the leading sales specialists in shrink equipment industry-wide. Since the start of his career, Pat has seen tremendous growth and development in the shrink packaging industry. Automation has increased production speeds, plants are running 24/7, and packaging equipment has become a great deal more sophisticated in order to keep up with this pace. By applying his expertise and the knowledge of the Atlantic technical team, Pat focuses on finding opportunities to help his customers improve productivity, reduce downtime, improve package appearance, and reduce costs for the product packaging. Pat has been with Atlantic for over 20 years. His passion for the industry and his dedication to his customers are the driving forces behind his success and are the reasons why major consumer manufacturers have come to rely on him. Pat works in partnership with Chuck Jimison, who has an immense knowledge of shrink films, and also with our technical team, including Ray McLaurin who works as Atlantic’s lead shrink equipment technician. Surrounded by such a strong team, Pat has the resources and capabilities to deliver incredible value to each of his customers. Graduating from UNC Chapel Hill in 1980 and first trying a career as a production supervisor, Steve quickly moved into a sales position with Dillard Paper in 1982 that would utilize his love of working with people and interacting with customers on a daily basis. He became a fixture at Dillard Paper (later acquired by Xpedx) for the next 21 years where he found great success in the medical and pharmaceutical manufacturing industries. Steve (along with fellow salesperson Joe Hogan) saw significant opportunity for growth at Atlantic and, in January 2003, took a leap of faith in the middle of his career by leaving Xpedx and joining the Atlantic team. He and Joe built up the Raleigh branch of Atlantic where Steve continued his focus on packaging and supplies for pharmaceutical manufacturers. These customers have stringent specifications to meet in all their product packaging and Steve has been able to ensure that they meet these requirements on a consistent and reliable basis. At Atlantic, Steve also began working with customers in the automobile industry, which he found shared a similar need for pristine cleanliness in the production environment with his pharmaceutical customers. Steve gained a great deal of insight and experience working in these fields and now specializes in serving these industries for Atlantic. He brings outstanding value and integrity to his work and a positive attitude that brightens all our days. Lewis Deans was immersed in the world of packaging upon arriving at Atlantic in 2004. His early experience in customer service, inside sales, technical service, inventory and distribution propelled him into direct sales of equipment and materials. This education in the packaging industry gave Lewis a broad and insightful perspective that today informs his work with our industrial converting customers. Lewis handles sales, project management, and logistics in our industrial converting and printing operation. He has a talent for designing comprehensive programs for our customers - particularly customers in the air filtration industry - that encompass a full range of Atlantic services including graphic design, printing, production, inventory, and distribution. He is skilled at identifying opportunities to engage Atlantic’s capabilities in a way to create maximum value for the customer. Lewis is an invaluable resource for our customers when it comes to achieving efficiencies and streamlining operations through every stage of product creation. Allison studied in the highly competitive Graphic Communications printing program at Clemson University, graduating in 2008. There she learned all the facets of the trade including printing, publishing, imaging, and packaging. She also gained hands-on experience with the equipment and processes through lab work and valuable internships. Since 2008, Allison has had experience at large packaging companies in many areas of the business including production planning and scheduling, account management, and estimating. She also seized an opportunity to live in the Dominican Republic for three and half months, training front office employees on best practices. Atlantic recognized her talents and, in 2012, Allison was recruited to work for Atlantic Printing & Graphics in Tabor City. Allison now manages customer service and prepress for Atlantic’s offset printing operation, which encompasses the production of folding cartons and commercial printing. She brings remarkable knowledge, expertise, and insight to our operation both internally and as a consultant for our customers. Don entered the packaging world in 1984 when he started work with a labeling company as a field technician. With his degree in BioMedical Electronics, Don was well suited for the technical aspects of the trade and soon learned all the facets of labeling operations including product identification, barcode scanners, label applicators, interface, and software. As labeling equipment has evolved over the years, from tubes to microprocessors and PLCs, Don has kept up his expertise and learned everything about this machinery along the way. Today with Atlantic, Don is our labeling expert and is an invaluable member of our team, assisting our sales personnel and working with customers to determine the best options available for labeling, barcode scanning, and software needed for any labeling application. His expertise is called upon in every industry we’re involved in, from automobiles to toys, tools, cleaning products, produce, poultry, and more. Don is also educated in the unique requirements and government standards that apply across all these different industries. Atlantic is privileged to have Don as a resource when it comes to choosing labels and labelers, troubleshooting issues, servicing equipment, quoting projects, and communicating between customers and vendors to ensure that everyone is speaking the same language when it comes to their labeling operation. During his time with Dow Chemical in the 1970’s, John led a product development team that introduced Dowlex polyethylene for both molding & film applications, including the resin used to produce the first LLDPE based, high performance stretch wrap, Mobilwrap X. His work at Mobil Chemical in the 1980’s contributed to the development of cast LDPE for food packaging and blown and cast LLDPE for flexible and industrial films including stretch wrap. Throughout the 1990’s and 2000’s, John helped develop industry leading stretch films for Linear Films (now AEP) and Pliant Corporation, later acquired by Berry Plastics. A number of leading stretch films were developed under his direction, including ADW and ADU at Linear and R122, R410, folded edge Stratos cast handwrap, and Stratos machine films at Pliant. Today, John heads our Packaging Film Lab in Charlotte, NC and is our resident materials specialist. His knowledge and experience are put to work in developing film products as well as selecting films for our customers or replacing existing films for better performance and cost savings. John has worked in the development of trash can liners, coextruded food packaging films, laminations, and PVC flow wrapper films. John’s position with Atlantic brings his expertise together with our sales and technical teams for the best possible outcome for our customer. We don’t let film manufacturers control the conversation. John’s knowledge and insight together with data gathered in our Packaging Film Lab are focused on delivering the best possible films to our customers for their specific applications. Yajaira started at Caribbean Products in the Dominican Republic in 2000 as an assistant to Sebastian Tine, learning all the facets of the operation, from converting to printing and labels, films, tape, foam converting, distribution, and packaging equipment. After 8 months, she moved into a sales position and set about earning certifications for the equipment used in the medical device trade as well as in food and beverage packaging. Yajaira stayed on with the company when Atlantic purchased Caribbean Products in 2006 and developed the printing side of the business even further. A powerhouse of a saleswoman, Yajaira is trained in all of the products, materials, and equipment Atlantic offers and also serves as a liaison between Atlantic and the Dominican Republic government when it comes to business procedures and operations. She speaks 3 languages (Spanish, English, and German) and is capable of doing business in the Dominican Republic, Central America, the U.S. and Puerto Rico. Yajaira serves as a valuable consultant and technical advisor for our customers, particularly for those doing business offshore. Mike started working in packaging in 1978 with the company that was then Henley Paper Co. in Hickory, NC. He worked his way up from a printing paper salesperson and customer service agent to industrial purchasing, operations manager, and then branch manager in 1985. Mike and many of the Hickory employees moved over to Atlantic when we acquired Henley Paper in 1999. He continued to keep up with his sales accounts while also managing the branch. Historically, Hickory has been a hub for furniture makers and Mike is a key sales person serving this market through our valuable inventory and supply distribution that includes spring up webbing, spring up twine, steel strapping, threads, and panels made in Hickory’s converting operation. He also consults on packaging equipment and materials for a diverse range of industries located in western North Carolina. Mike’s knowledge and experience in packaging, inventory management, and supply distribution for the furniture industry in particular makes him an incredibly valuable asset for our customers.